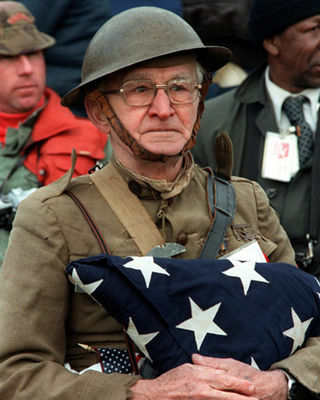 November 11th 2010 is Veteran’s Day in the United States – but despite the call to honor our soldiers, most people will be talking about recession and the recent elections. Whether we talk about them or not, however, there are still many men and women who are overseas, entrenched in one of the most life altering events that we humans can put ourselves through – war. Life altering may be a slightly pacifying way to say traumatizing, and the experience in being in a war forever shapes an individual, their families and their futures. While we’ve mostly put the troops in the field out of our minds, there have been more stories recently about returning troops: stories that reflect the potential struggles that loved ones, children, schools, businesses and entire communities must deal with when a soldier comes home. Today we as a nation seem far more conscious oandr aware of the psychological and social aftermath of combat. Their trauma is set to echo for generations as it did for the families and children of the previous U.S. wars. Stories about soldiers who have committed suicide have been getting far more attention than they ever did in previous wars. The Veteran’s Administration (VA) has finally taken public notice of the pain that is carried back home. Recently, the VA launched a nationwide outreach effort to veterans. Their website Real Warriors, Real Battles, Real Strength is meant to resonate with the military “identity” while letting soldiers know that they are not weak if they seek help. More research is being published on the effects of war on the veterans and their families. One research study published in the Journal of General Internal Medicine, highlighted the physical and mental challenges that returning soldiers suffer from – they noted the otherwise unknown fact fact that women vets suffer from more conditions than men. Another research study published in the journal Pediatrics, examined how having mothers and fathers sent of to war affects their children. Researchers found the children reported more illness, emotional stress and parents reported more acting out and anxiety. Other research studies (PDF) have found that some returning soldiers will be dealing with the after effects of brain injuries, socioeconomic challenges, and the effects of combat may be far reaching – long into their old age. The mainstream media has begun to share stories of struggles veterans. Film makers have long been a part of telling the stories of vets. HBO will soon be airing a documentary, Wartorn, that explores war and post traumatic stress. Knowledge is power, or in this case, knowledge leads to empowerment. Spreading the knowledge about how war impacts everyone it touches is the first step to recover for a nation and the soldiers at war. The next step would be giving them the social and emotional support they need. Helping veteran’s move toward peace of mind should be first and foremost on the mind of all those in the fields of health and well being. The work done with veterans will inevitably have a lasting and positive effect on their families and children and indirectly impact the well being of their communities. Dr. Stanley Krippner recently presented his work on dream work with veterans and has published an update to the 2007 book Haunted by Combat he co-authored with Daryl Paulson. Krippner and Paulson present a humanistic view of PTSD by removing the perception of that it is a “pathology.” The authors state, “Reactions that are normal under combat conditions become “abnormal” or “pathological” only when viewed from a noncombat perspective.” The traditional way of dealing with pathology has been to medicate. Medication are already overprescribed and overhyped, and may be exactly the wrong way to approach the conditions of many returning soldiers. War is an experience that permeates the heart and soul of the former solider. Their experiences in combat have become part of their internal self/identity and will always impact how they will see and experience the world. The path to healing can take a number of directions: some of the more well known include Cognitive Behavior Techniques (CBT) and Psychodynamic psychotherapy. There are other choices of care for veterans that fall under the treatment umbrella of Mind-Body Medicine; expressive arts such as Art and Poetry therapies, Spiritual Counseling /Guidance, mediation, Yoga, and Dream Work. Each of these methods work to dive into the soul of the soldier and offer a way for them to move towards integrating and accepting their war experiences. The reactions that are associated with PTSD are not just a result of neurons firing, they are a reflection of the fear, anger, grief and terror that our veterans experienced in battle that have now become part of their life history. Treatment for veterans should extend beyond providing medical care and reach towards a holistic approach which includes an increase in providing family therapy, peer groups, increased access and financial support to seek alternative care and community outreach to help prepare their homes for their return. Hopefully, that will be on the agenda, but in the meantime spreading the word to veterans that there is help is the next best action.